Embossing is the process of creating raised relief images and designs. An embossed pattern is raised against the background of our aluminum and copper menu covers. New embossing orders require an embossing die set charge. 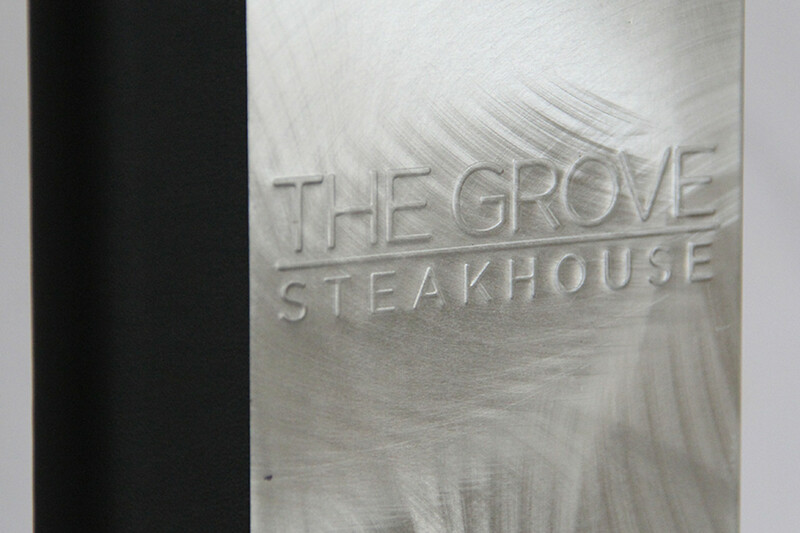 New Aluminum Menu Cover orders with an embossed logo require a die set charge. The die set will be kept on file for your future use at no charge. New Copper Menu Cover orders with an embossed logo require a die set charge. The die set will be kept on file for your future use at no charge.